For a company to be able to update their employees regarding their status, regular meetings should always be conducted. Most companies or organizations have it on a monthly basis. 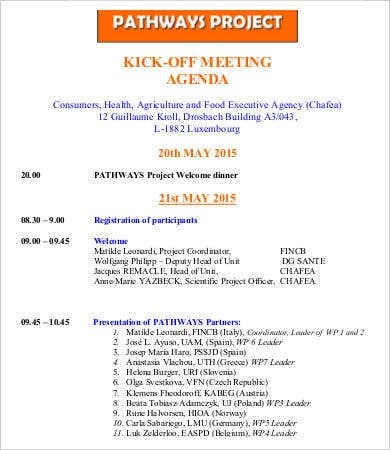 But for kickoff meetings, they are usually done on a yearly basis. These types of meetings serve as the company’s starting point for another year. 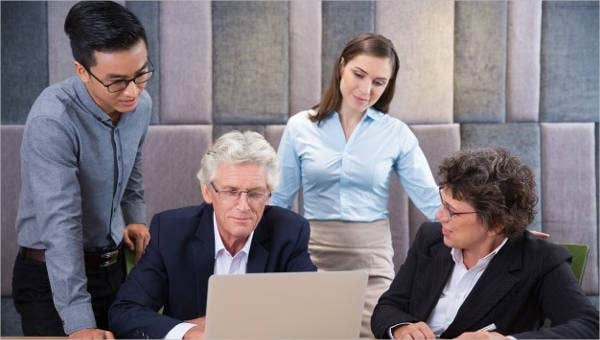 During kickoff meetings, the company will usually discuss on their accomplishments from the previous year and the objectives to be accomplished for the next term. And for a meeting to flow in an organized manner, the presider should always make use of a meeting agenda to guide them on the topics that need to be discussed. 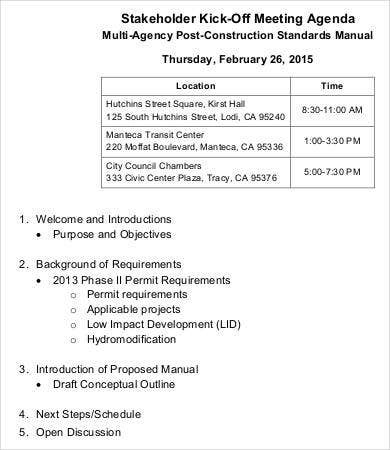 For your convenience, we have a collection of Agenda Template for you to choose from. The word agenda literally means “things to be done” in Latin. 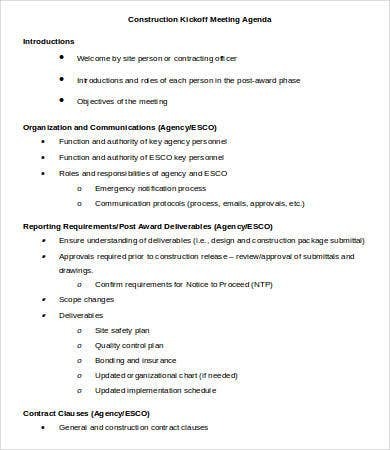 In meetings, an agenda is a list of topics that need to be taken up, beginning with the meeting called to order and ending with the meeting adjournment. 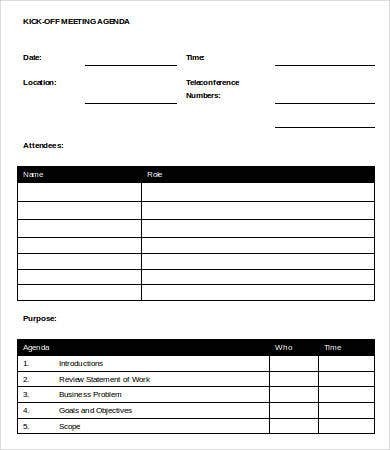 A meeting agenda can help in outlining important issues that will be taken up so the attendees will have an idea and can prepare ahead of time. A meeting agenda can make the attendees more focused on the issues that are discussed and to prevent bringing up issues that are irrelevant. A meeting agenda can help keep the meeting at a constant and organized pace. Therefore, the more organized the meeting, the more productive it is. A meeting agenda can also determine goals on what the meeting aims to accomplish. 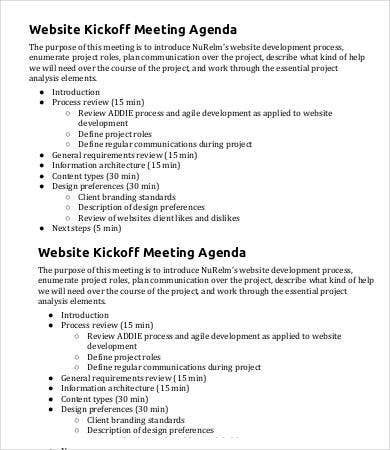 For more templates on meeting agenda to choose from, you may also check out our collection of Sales Meeting Agenda Templates and Weekly Meeting Agenda Templates. 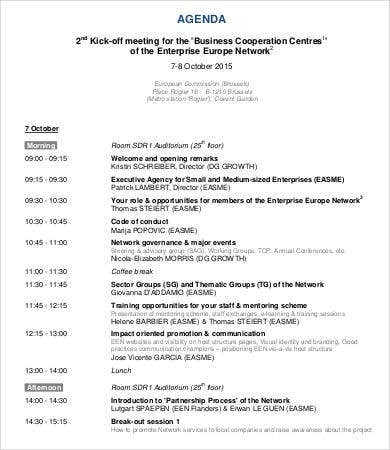 Write your agenda ahead of the meeting schedule. 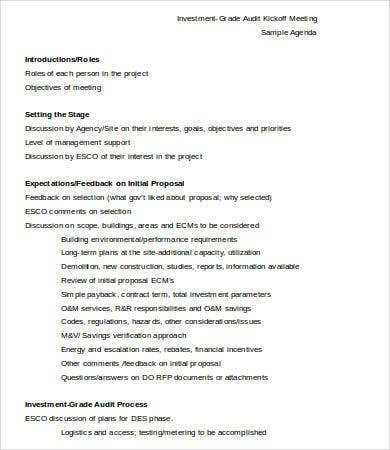 Define the meeting objective by providing a short summary of what will be discussed. Prioritize topics by discussing first the most important issues that are very likely to consume a lot of time. 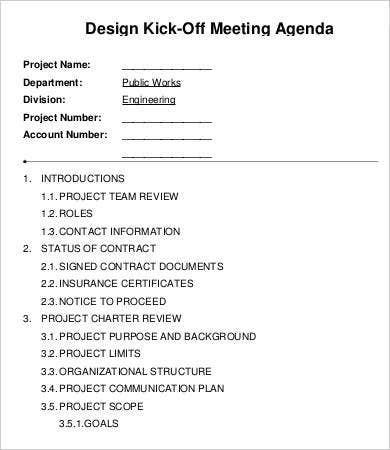 Indicate in the agenda a list of people along with their responsibilities in the meeting. 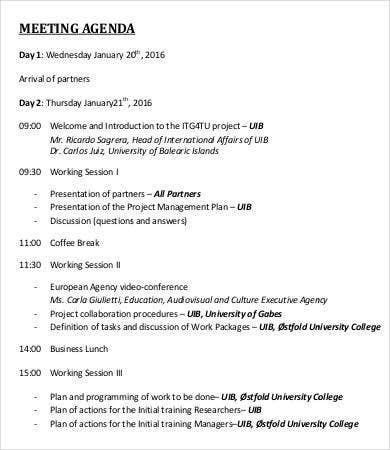 Be guided by making use of agenda templates. These templates can be downloaded for free in high-resolution PDF formats to assure you of clear and legible prints. You can also download this in either Doc or Docx formats for easy editing using Microsoft Word or Apache Open Office. 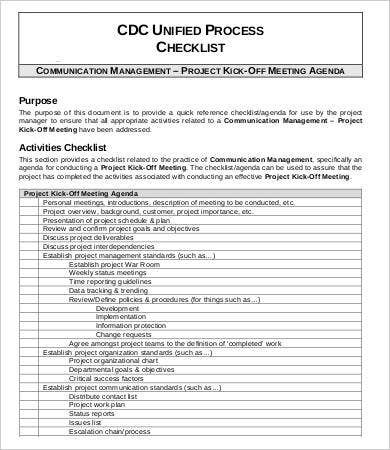 You may also want to check out our collection of Management Meeting Agenda Template samples for more to choose from. But if you couldn’t find what you were looking for on this page, scroll down and check out the links to related content found on our website.